Congratulations! 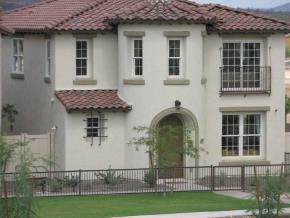 You have decided to buy a home or thinking about buying a home in Phoenix. You’ll be joining the ranks of hundreds of families who realize that home ownership offers a number of benefits including building equity, saving for the future, and creating an environment for your family. When you own your own home, your hard-earned dollars contribute to your mortgage. The equity you earn is yours, and over time, your home will increase in value. Why should you work with a REALTOR® when searching for and buying a home in Phoenix, and specifically The Tim and Kym Team? First, take advantage of the fact that using us is FREE to you, the fees related to our services are paid by the seller. We represent you as a Buyer’s Advocate. We will assist you in negotiating the best price, best terms, and resolve issues that may arise throughout the purchase. We even hold accreditation in the art of negotiation- a CNE (Certified Negotiation Expert). We provide you with all the fact based information you need to make informed and smart decisions on what, where, when, and how to buy. We make it easy….contract deadlines? When am I at risk of losing my earnest money? Inspections? Repairs? Loan Qualification? We will ensure you are on track and make the process smooth, protecting your interests along the way. Thanks and enjoy, The Tim and Kym Team at ArizonaeHomes. Mirada + Casita. Not To Be Missed in Corte Bella! Trilogy at Vistancia Golf Lot With Pool! Casita!